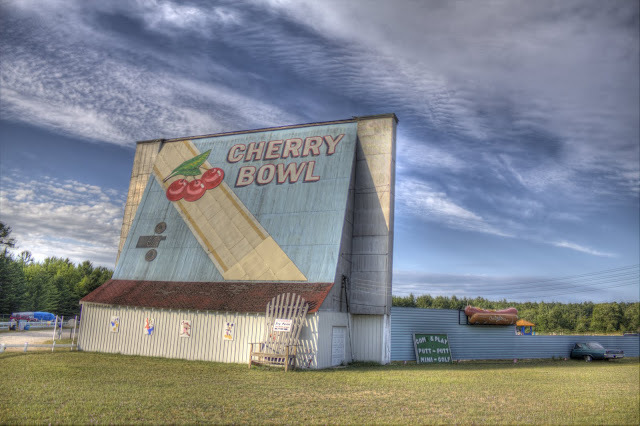 The Cherry Bowl Drive In is located about an hour south of Traverse City on US-31, just outside of the small town of Honor. 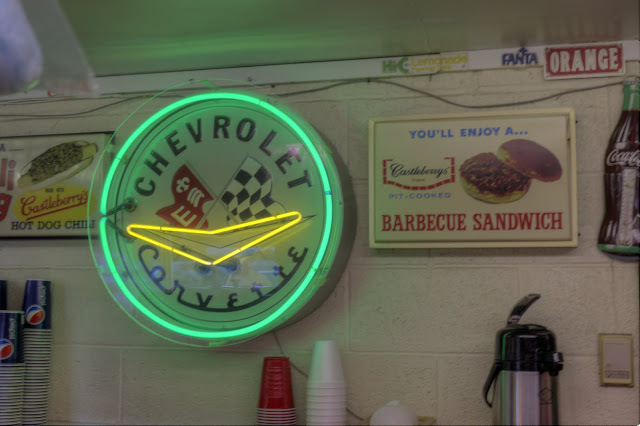 It is proudly ‘family owned and operated since 1953’. 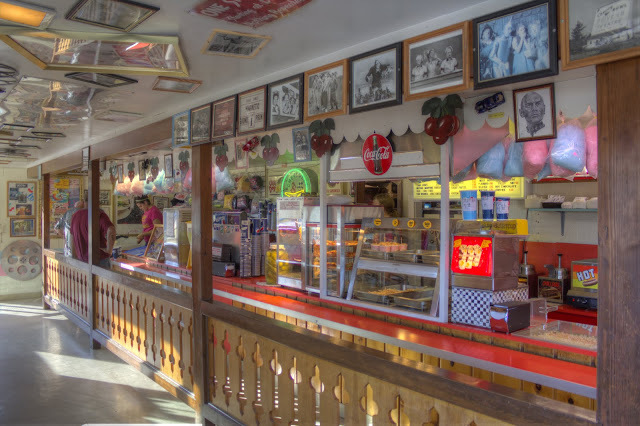 A trip to The Cherry Bowl is like stepping back into the 1950s. 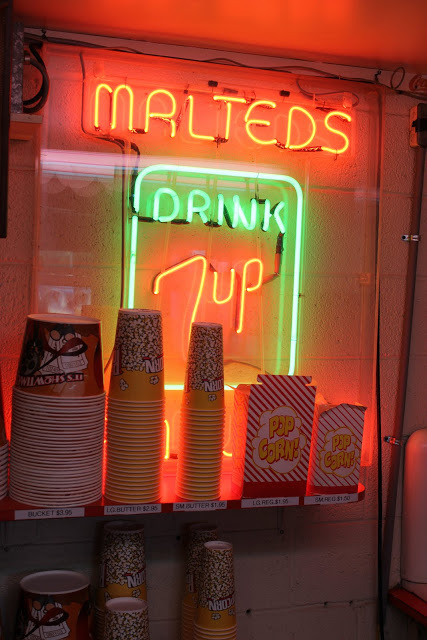 The refreshment stand isn’t just 1950s themed, it could be right out of the 1950s. I especially enjoy the old-fashioned signs on everything, they look just like they used to when I was a kid and visited there. 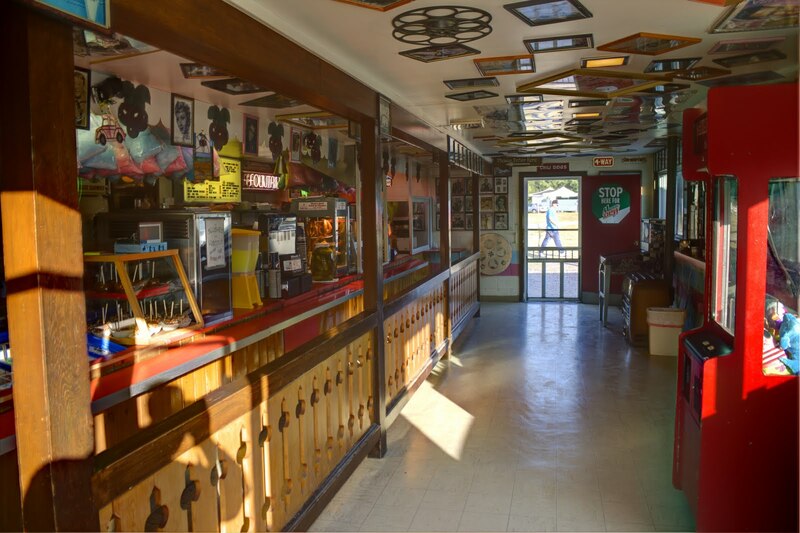 The Cherry Bowl prides itself on it’s family environment. 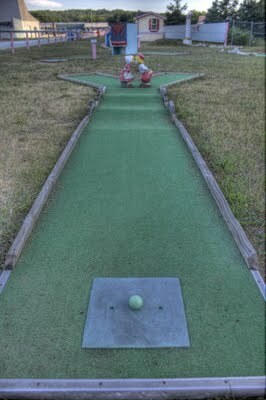 There is a playground right in front of the screen, and there is also a 19 hole mini golf course on the grounds. 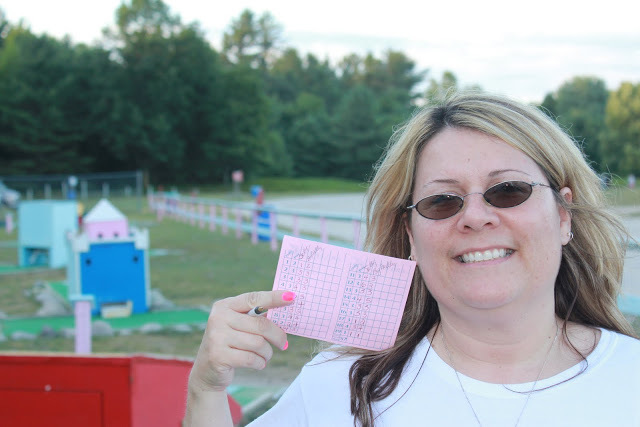 Smiling even though she lost by a single stroke! We enjoy every trip to the drive-in , even if we have no interest in the actual movies that are showing. It’s all about the experience. The location, in beautiful Northwest Michigan, only adds to the location. 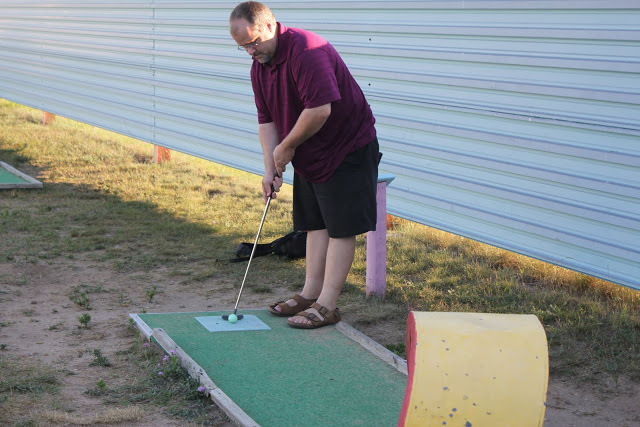 Since the movies do not start until dark, patrons not wanting to play putt-putt or enjoy the pre show atmosphere can watch a beautiful sunset over Lake Michigan (only 10 miles away) and still make it to the Cherry Bowl in time for the first film. The 1950s flashbacks continue in into the animations shown at the beginning of the feature and during intermission. Almost everyone who is of a certain age will remember the ‘dancing refreshments’. The experience of the Cherry Bowl is extra special to me. 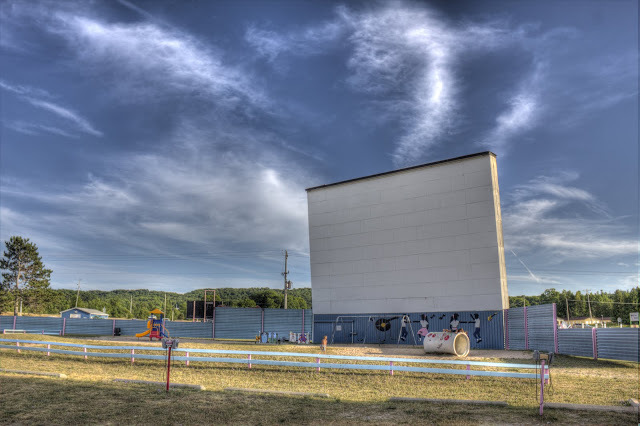 I always loved the drive in when I was growing up, and they have all but disappeared in most of America’s big cities. Of the two left in the Detroit area, one is in the parking lot of an auditorium, the other is in a dangerous neighborhood. A visit to The Cherry Bowl Drive In is always one of the highlights of any visit we take to Northwest Michigan. You can learn more about The Cherry Bowl at their website, and you can become a fan on their Facebook page. Love drive ins! As Julia said above, you really can't get more Americana. Great photos! 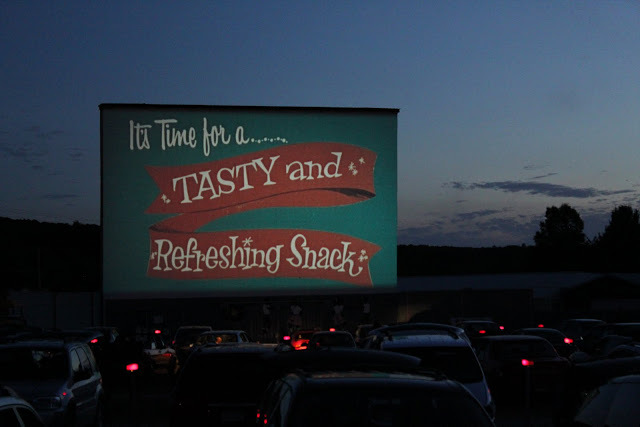 I visited my first drive-in movie theater in May when I visited St Louis and it was such a great experience. It's something we don't have over in the UK and it has always seemed quintessentially American to me, so even though I wasn't enthralled by the movie we went to see, I loved the whole experience. This is my idea of a perfect day! I love retro 1950's things so much!! Is that sunset real? it's amazing!! Fantastic write-up! 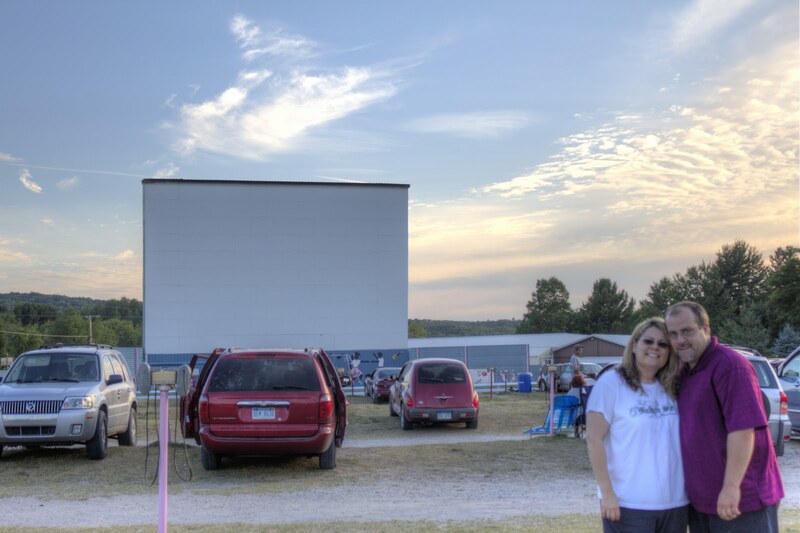 We try and go up here each summer and we haven't taken our kids to a drive-in yet, since they are all but gone around us. We will put this on the “to-do” list for sure! You know my wife loves the drive-in but I am a little more on the just go to the movie theater or stay at home. I guess it just depend on the management because a few of the ones I have been to just haven't been up to par like this one is. Food stale and things like that! 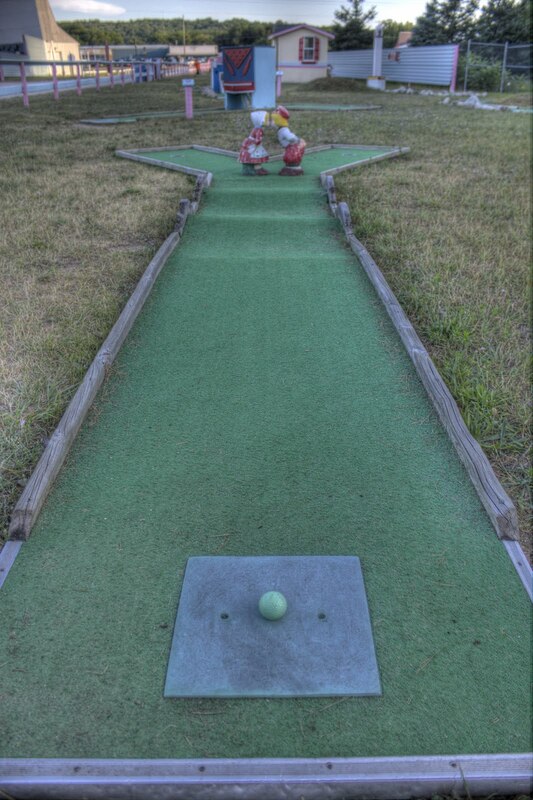 This one looks great and even has mini golf. I visited the drive-in theater close to my small town in southern Oregon a few times when I was younger (probably about 15 years ago?) and of course it has since closed. 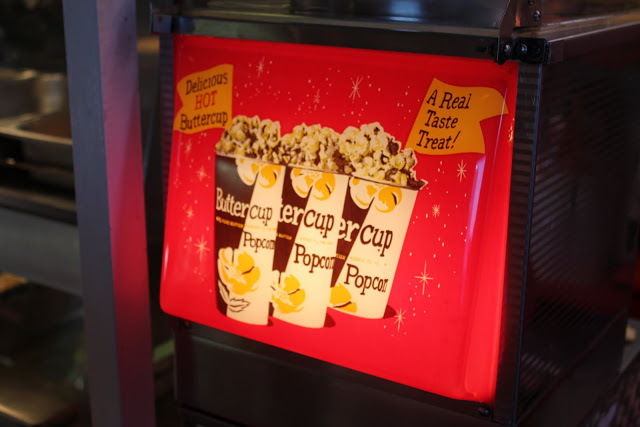 I have such fond memories of it, though – watching a movie at a drive-in really is a unique experience! Sad that there are only a few still open. 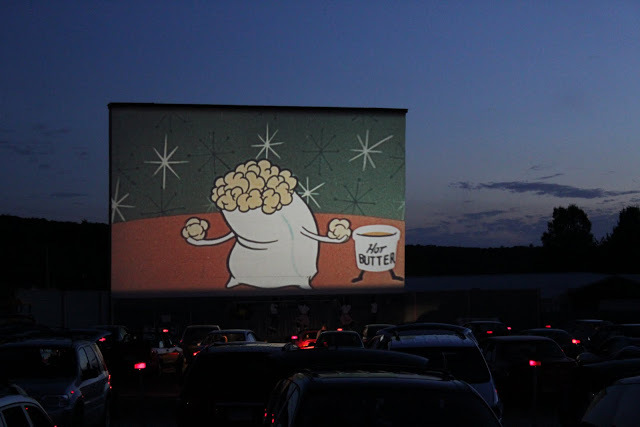 There aren't too many drive-in movie venues left. 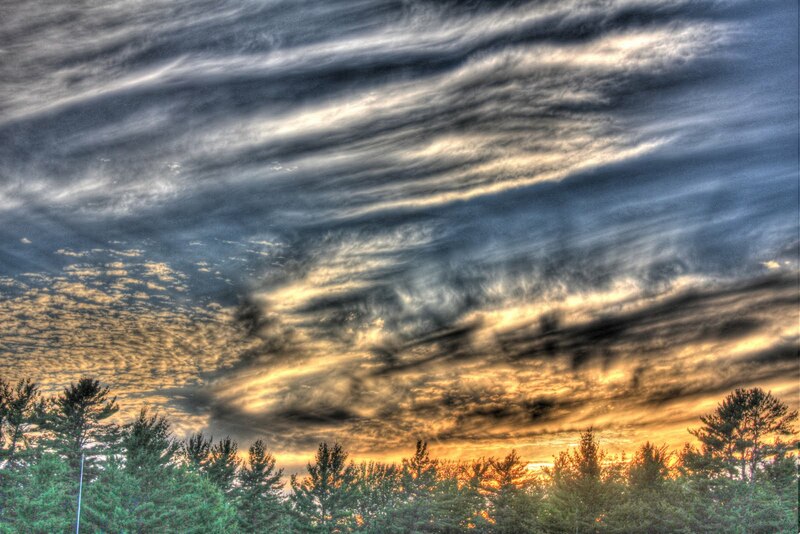 Nice use of HDR, too.